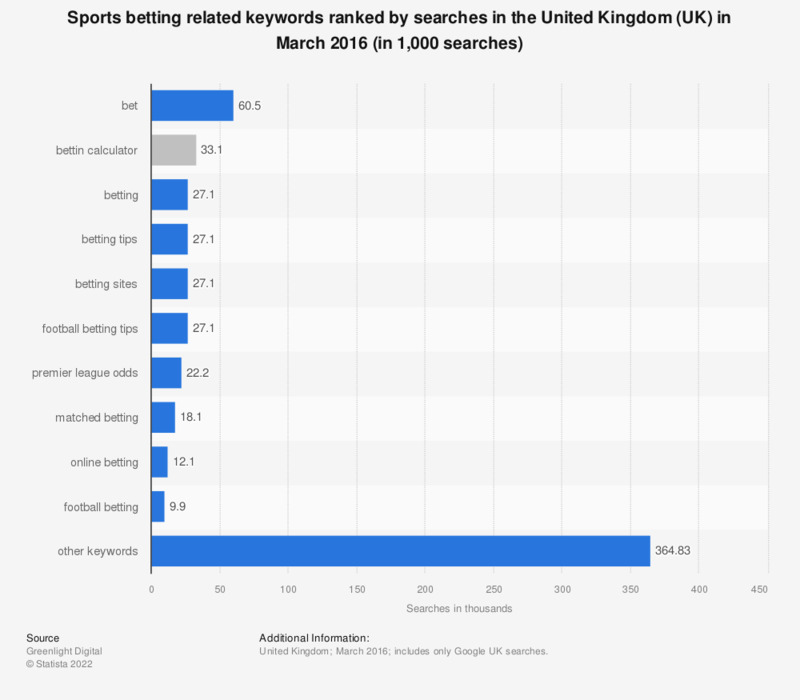 This statistic ranks sports betting related keywords by number of searches on Google UK in March 2016. There were 60.5 thousand searches for "bet" that month in the UK. Which sports did you place bets on in the past? What do you like about betting on sports? Which of the following online betting platforms do you know at least by name?